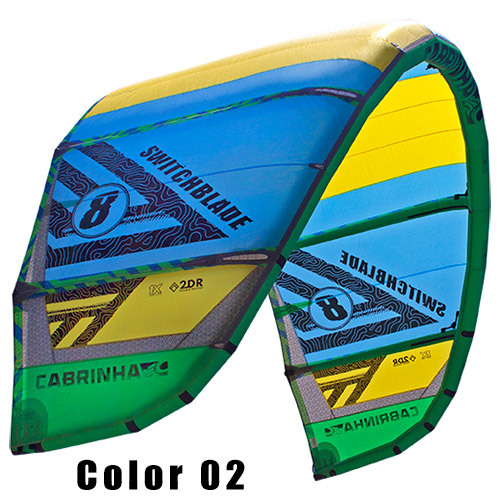 The Cabrinha Switchblade continues on its legacy into 2017 carrying over with the Pure Profile Panels first introduced in 2016 and featuring a newly improved airlock valve. Evolving into an icon, the Switchblade sits at the heart of the Cabrinha kite range where style and performance are seamlessly interwoven. 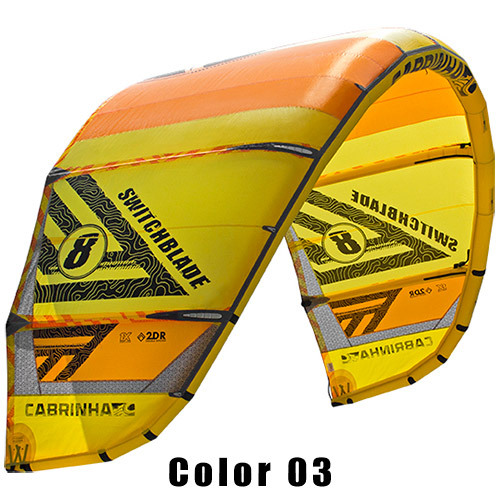 Loved by many for its unique combination of smooth power delivery, unrivaled predictability and uncompromising high end performance, the Switchblade has redefined the notion of what a single kite can achieve. The five strut design has distinct segments that hold the canopy true to its intended shape, increasing the kite’s performance regardless of the wind conditions or angle of attack. The wide ranges of attack angles give the SB the incredibly powerful, predictable pull it is famous for. Unmatched in its power, performance and craftsmanship, the SB unapologetically creates the ultimate kiting experience. You cant go wrong with the Switchblade. Tough construction, easy one pump, solid sold turning and a great range. I really like the smaller sizes for boosting big time! They also loop really well. Its an amazing all around kite. With the discounts now on because of the new models coming out. Its a no brainer! Since I work at the shop I've tried many different kites and this one is by far my favorite. This kite is extremely user friendly, it water relaunches really well, and it's very durable. 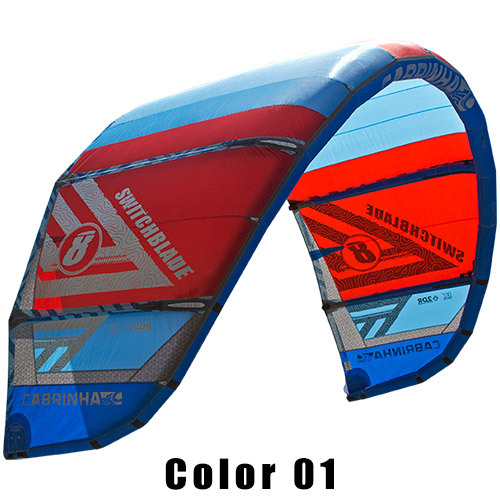 If you are looking to get into the sport or buy your first kite setup, this is a great choice.